Everyone agrees to the idea that writing a thesis proposal is the most challenging academic task. Some cope with it and forget of their undergraduate degree. Others fail and either start from the very beginning or quit. Which one are you? WriteMyEssays.com offers support to those, who are ready to apply efforts, pay money and get a thesis paper that makes it clearer how to create on your own. Read reviews and learn why others decided to work with us and what their impressions are. Don’t forget to leave your own feedback and let more students in trouble find a reliable friend during an academic year. One of the main qualities of a dissertation proposal to be obtained is originality. Writers work day and night to guarantee it to everyone, who orders from us. The latest research shows that the agency has reached an extremely low rate of plagiarism – 1% only. How’s that possible? We write all pieces from scratch, use numerous sources, and add new original ideas. How can we prove it? The team has designed special software no one else has. In fact, you can use it as well. The Checker is improved on a regular basis, so we know it shows only accurate results. Upload your text (up to 5 times per month if you are not registered OR up to 10 times if you are registered) and get the result in the percentage of content copied from other online sites. In case your professor or turnitin.com has detected plagiarism in a paper, send us a scanned version. The case will be investigated within days and you’ll get an adequate response. Instructions: when instructions written at the order making stage conflict with those that are attached during an improvement, don’t count on free assistance. A project is revised for money when the request doesn’t meet the above-mentioned terms or some serious and major alterations are to be made. 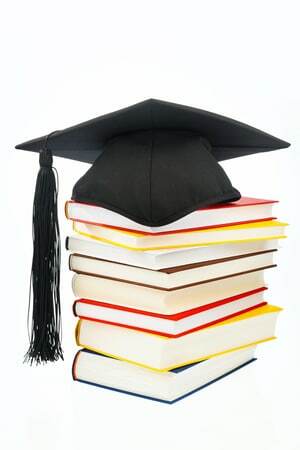 If your dissertation is completed according to the Progressive Delivery policy, the deadline extends from 7 to 21 days. Even if it is not, we still have the right to extend it per penman’s request and only when the initial final time allows an extension. Someone, who decides to change a freelancer for his order, should add 12 more hours to the deadline. We believe this time is enough to find a new person to complete the order. Remember that today the minimum revision deadline is 3 hours. As you make a purchase, the data may be disclosed to third parties. Why do we do that? It is done only when we know that the offered services and goods may be of use. Normally, they contact our clients by means of e-mail or telephone. Some users don’t want their data to be shared with others for marketing purposes. They are free to tick the relevant box on the form on which the site collects info. If you change your mind in future, contact our Support Team and we will help you out. Wish to become a graduate with a relevant degree? You need to work on that really hard and let us help you when you are in a tight corner. We complete works of any format and style. Our freelancers do a research and add new bright ideas to make any thesis memorable. Our Support Team works 24/7 to ensure all your questions are answered and complaints satisfied. Moreover, we offer support that is affordable whatever your budget is. Our service offers you to join us when academic tasks are getting harder and you barely have time for yourself.